The Stopped Diapason is wood, the rest metal. The late 17th century chamber organs at Compton Wynyates and Belchamp Walter were used as models. The compass is C- d³, with four available pitches. The pipes have tuning slides, for different pitches and tuning systems. 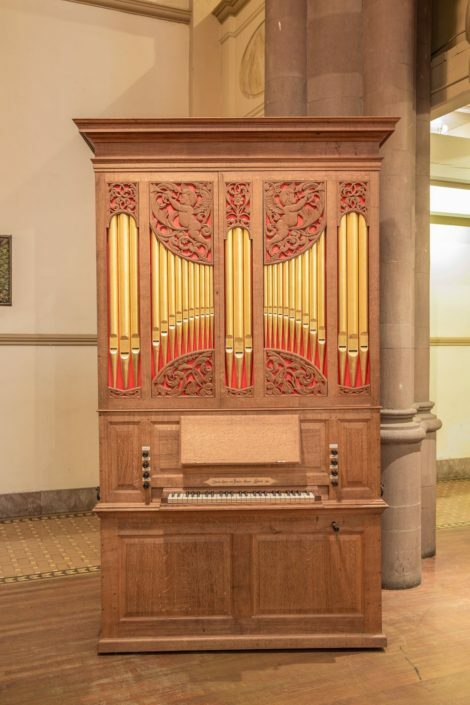 The case front with its gilded dummy front pipes is based on the late 17th century consort organ at Belchamp Walter in Essex.